Don’t think that simply because you live in New York that you can’t have the conversion van you have always dreamed of from Dave Arbogast! We are the largest conversion van dealer in the United States! This gives us the capability to provide you with options that other dealerships cannot. 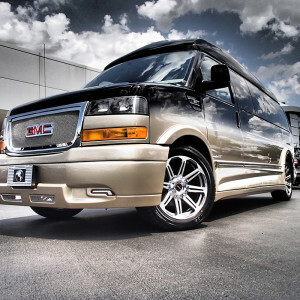 We have a over 30 pictures of every van on our lot right here on our website. We can also provide you with a video tour of any new or used conversion van! There is no hesitation or question left unanswered when shopping for a van from Arbogast; no matter what it takes we can pair you with the perfect van. Every detail can be handled electronically for you seamlessly from the comfort of your home; from choosing the right van, to financing and finalizing your purchase. Concerned about how you will get the van after purchase? No worries there either! We have the ability to safely and efficiently deliver your new or used conversion van right to your driveway in New York! If you would rather pick up the conversion van yourself, we can help arrange for you to fly into Dayton International Airport, only ten minutes away, and pick you up! It doesn’t get any easier or painless than that! Let us help you find your next conversion van! Fill out our contact form, complete it and someone will get back with you promptly. Or, feel free to give us a call and speak with one of our van experts 1-888-436-3216. We look forward to speaking with you soon! Are you looking to sell your conversion van? Simply call the experts at Arbogast! We purchase vans from all over the country, including New York. Visit our trade in appraisal page or call 1-888-436-3216. Arbogast pays premium money for used conversion vans. We take the hassle out of selling your van!